Not interested in just playing covers or only playing only their own instruments, both girls are talented songwriters and multi-intrumentalists who continue to work hard on their craft. With that kind of work ethic and infectious song writing, the girls became the youngest ever band to officially be invited to play SXSW in 2013. 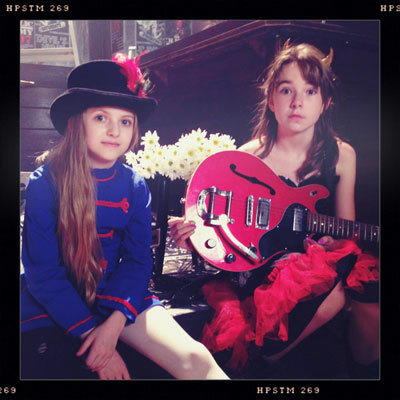 Pretty Little Demons are 13 & 11 now and are excited to be going on tour this summer to several Girls' Rock Camps and playing Lollapalooza Aug 1st & 3rd.